Wheal-Grace can handle all of your printing needs. All of Wheal-Grace's equipment is 100% Wind Powered. Click here to learn more about our Artisanal Letterpress Division. We offer folding, cutting, binding, laminating, stitching and more. Women Owned Enterprise. Click here for details. Wheal-Grace has been delivering museum quality print to the advertising and corporate community since 1946. While methods of delivering print have evolved over the years our commitment to second-to-none service and quality have never waivered. Wheal-Grace is a Certified Small Business Enterprise in Belleville, New Jersey and our family culture translates to our team of employees taking the extra step and assuming ownership of every project we produce. We were a pioneer in environmentally friendly printing and created the Green Print program before the industry recognized the advantages of printing green. Wheal-Grace proudly led the way in sustainability and operates our facility on 100% wind energy. We invite you to experience the Wheal-Grace difference on your next project. Wheal-Grace now offers Artisanal Letterpress printing. Click to find out more about our Letterpress Department. For over six decades Wheal-Grace has been a leader in sustainable printing in the New York - New Jersey region. For your brochures, catalogs, postcards, posters and more, we are a business built on kept promises. All of our work is produced using 100% wind power. Our soft touch aqueous printing employs our proprietary coating that our clients tell us is the best on the market. Wheal-Grace is the quintessential commercial printer in New York and New Jersey. Our Heidelberg Direct Imaging Press division produces real ink on paper, short-run printing when you need a fast turnaround on your project. We service the New York – New Jersey tri-state area providing second-to-none turnarounds in brilliant colors on up to 15 pt. paper. Wheal-Grace produces artisanal letterpress printing on classic Heidelberg letterpresses. We use 100% cotton paper and sustainable printing techniques to produce commercial letterpress announcements, postcards and invitations. 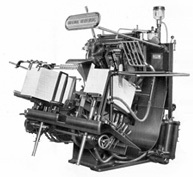 We operate the largest letterpress social stationery division in the New York – New Jersey tri-state area and the Mid-Atlantic region. Our trademarked Metallix proprietary technique, also known as MetalFX, allows you to incorporate thousands of metallic colors on your next print project by using four colors, CMYK - and one additional special silver. Power up your imagination, and step up to create packaging, collateral, and promotions that shine and stay within your budget. We are also a provider of ClingZ printing in the New York – New Jersey tri-state area for the advertising and corporate community.